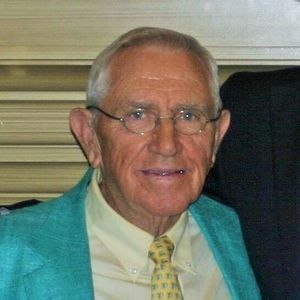 Dr. Roy Lee Earp, 85, of Angier passed away this week peacefully in his sleep. He was born and raised in Angier by Roy Cornelius Earp and Myrtle Currin Earp and grew up to live in White Lake, Raleigh, and Wrightsville Beach, North Carolina. He served in the United States Navy and was educated at the Medical College of Virginia where he received a D.D.S. He then opened a private practice in Raleigh. Roy is survived by his loving wife of 33 years Lynda Turner Earp, his sister Angela Newton, his sons Jeffrey Lee Earp Sr. (wife Lisa) of Fuquay Varina and Dr. Scott Collins Earp (wife Stephanie) of Raleigh, four grandchildren, Lee Earp (wife Dawn) of Apex, Marlin Earp (of Fuquay Varina), Collins and Catherine Earp of Raleigh and three great-grandchildren Marie, Sydney, and Emerson. A memorial service will be held at Elizabethtown Presbyterian Church on Sunday, September 30th at 3:00 pm. In lieu of flowers, memorials may be sent to the Elizabethtown Presbyterian Church PO Box 576 Elizabethtown, North Carolina 28337. Add your thoughts, prayers or a condolence to Roy's guestbook.